FCR, the premier provider of outsourced live agent call center and business process solutions, announced its plans to open a new nearshore contact center in Baja California, Mexico. The site, located just minutes away from San Diego, California, is centered within the heart of Tijuana’s International Business Park and provides easy access and close proximity to the US-Mexico border crossing. FCR has planned a Grand Opening for April of 2018 with an initial team of 30-50 full time employees, and expects to grow their employee footprint to over 300 full time employees in the Baja area over time. The expansion allows FCR to augment its U.S.-based domestic operations with high quality bilingual and Spanish language services for its existing and future clients. 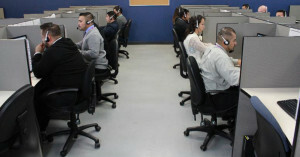 Call Center Representatives from FCR’s nearshore operations in Tijuana, Baja taking calls from customers. FCR’s new Tijuana, Baja center is located within the CCSI Otay Industrial Park Complex and is fully integrated with FCR’s U.S. operations. The center will mirror FCR’s existing systems, processes and procedures, compliance rules, and high performance standards its clients have become accustomed to. As with all of FCR’s sites across Oregon and Montana, FCR’s management team will maintain operational control of the Tijuana location with cross border management training and close partnership and communication with the dedicated on-site Supervisors, Team Leads, and Agents of the center. Representatives from FCR’s nearshore operations in Tijuana, Baja handle customer requests. 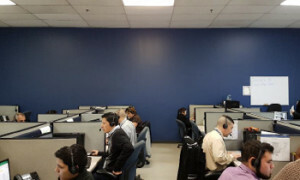 Headquartered in Eugene, Oregon, with contact center facilities in Oregon, Montana and now Tijuana, Mexico, FCR has built a new class of high-quality, domestic-based contact center and business process outsourcing solutions. The company provides a wide range of outsourced call center and business process solutions to industries that include high tech, startups, mobile commerce, wireless, telecom, finance, insurance, e-commerce, healthcare, retail, travel and hospitality, and various sectors of the new economy. FCR currently supports more than 60 clients and employs over 1,600 colleagues across seven contact center facilities. FCR is changing the face of the outsourcing industry, one call, email, instant message, text, and video conference at a time. To learn more about the company, visit www.gofcr.com for further information.